This is a very easy to make side dish, all you have to do is to marinate the diced potatoes and fry it in the oil till golden brown. Yumminess in no time. You can serve this along with any meals or as a fried snack to munch on. Peel off the potato skin using a peeler and dice it evenly. 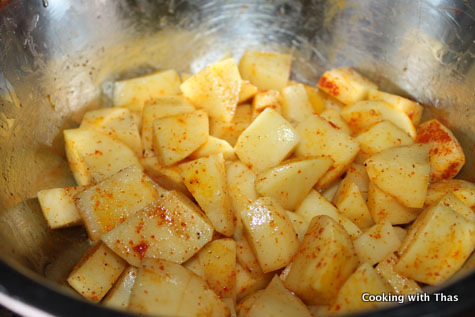 In a large bowl, marinate the diced potatoes along with chili powder, turmeric powder, ground pepper and salt, keep aside for 10 minutes or longer. Place a frying pan or non-stick pan over medium heat, let it turn hot and add oil to the pan. Add the curry leaves into the oil. 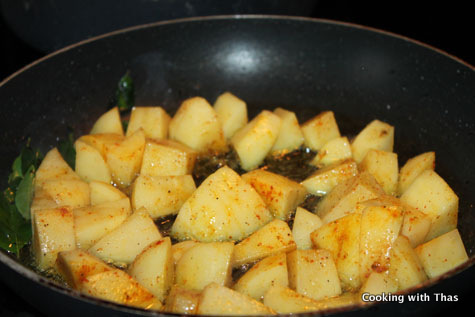 Add potatoes without crowding and fry till it has turned golden brown in color. Don’t fry the potatoes over high heat as it till burn easily. Using a slotted spoon transfer to a paper towel and let it absorb the excess oil. 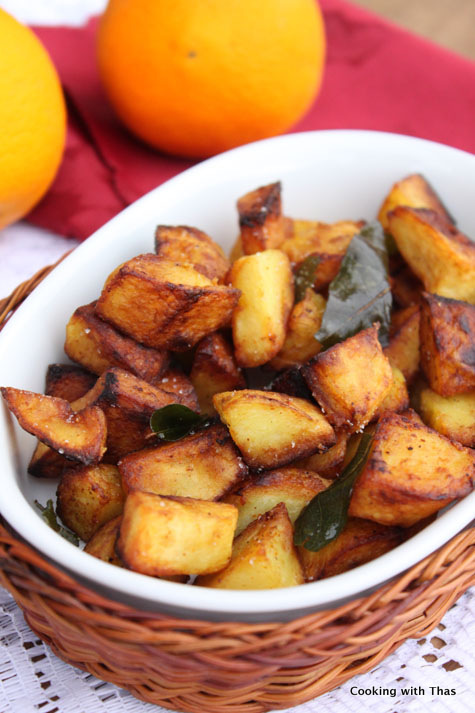 Place the fried potatoes in a bowl, sprinkle with a few pinches of salt and serve hot. You could add any kind of seasonings to marinate the potatoes. 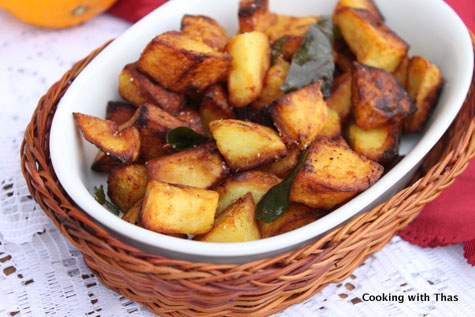 Don't fry the potatoes over high heat as it till burn easily.